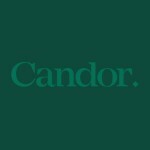 Candor in the workplace, even “extreme” or “radical” candor, has become a hot topic in recent years. And for good reason. The creativity, buy-in, and efficiencies possible through candid conversation are remarkable and well-documented. There’s no question that candid dialogue, when seen as the norm and practiced routinely, is a key source of competitive advantage — companies like Google and Bridgewater Associates are good illustrations. Yet practicing candor company-wide is not nearly as easy as popular writings imply, especially if a company’s existing culture is less than candid. We at PMC believe a vital ingredient has been missing from the candor discussion. Until now, that is. The Fearless Organization, by Amy Edmondson of Harvard Business School, is hot off the presses. In this book, Edmondson discusses the often subtle yet widespread effects of fear in the workplace, and how fear impedes candor and creativity. Her basic argument is that, for a culture of candor to take hold and endure over time, an organization must first propagate psychological safety throughout its ranks. We couldn’t agree more. This book is highly recommended reading for leaders at all levels.